Perhaps the best raison d’être – albeit in a wonderfully twisted sort of way – is that it is “tethered to nothing”. This is what the trumpet playing Adam O’Farrill, the latest generation in the O’Farrill dynasty says about his music. 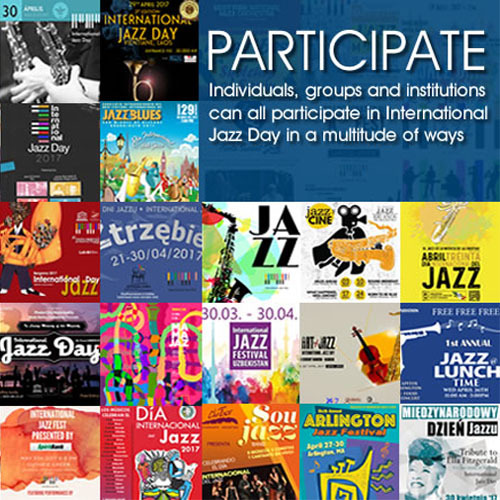 It is also the best way to enjoy his music; certainly to enjoy El Maquech an album by Stranger Days, O’Farrill’s band that also includes his drummer-brother Zack, tenor saxophonist Chad Lefkowitz-Brown and longtime musical cohort and bassist, Walter Stinson. In point of fact, the music of O’Farrill is easy to enjoy because it is so irreverent, funny and unpredictable. None of this means that the O’Farrill brothers are anything but deadly serious though. And you can hear this also in all of their music on El Maquech. Both Adam and Zack O’Farrill have been developing their music at the point where several circles intersect. Their heritage comes from one in which the music of North and South America and the Caribbean collide – and have done so for generations right in their own household, as a matter of fact. The maverick nature of their grandfather, Chico’s music, has been seared into their memory, it would seem. You hear this in the loud and brazen enunciation and articulation of Adam O’Farrill’s trumpet and the melodic battering-ram of Zack O’Farrill’s drums. The collision is intensified by their father, Arturo’s usually extrovert musicianship that has also influenced their individual and joint sensibilities. The obedient kowtowing to family ends there. Both Adam and Zack O’Farrill have become their own musicians with outsized voices of their own. You will hear this all over El Maquech. The trumpet-playing O’Farrill suggests – in his effusive liner notes – that this did not come about from wanting to make an album, but rather from a series of happy accidents that include being in Montréal in the throes of an energetic and very successful tour, and being with each other which is to say, in that brotherhood of musicians that forms when you’re on the road playing each other’s music to each other and to enthusiastic audiences. (The word in today’s parlance is “hang”). One is not sure what to make of the newfangled and rather “deathly-connotation” of the word “hang”. Nevertheless the music on El Maquech has a vibrant quality that can only come from musicians in the prime of their existence. But volume and noise value aside, these are musicians with something to say and they demand your attention. So listen, one must; and one is not disappointed; not ever. The ideas are interesting and always meaningful even when they appear to be flippant, as in “Verboten Chant”, which takes jack-boot rhythmic patterns and turns even the dull thud of the bass drum into something enormously melodic and songful. There is much more: like the breathtaking revelry of “El Maquech”, redolent of the surreal and vibrant beauty of Frida Kahlo, and there is – amid the din and high-jinx – also a wonderful tenderness in “Pour Maman”. Most of all there is a sense of belonging – not just as family and dynasty, but to tradition and this is brilliantly crafted in the Thelonious Monk-like magic of “Erroneous Love”. 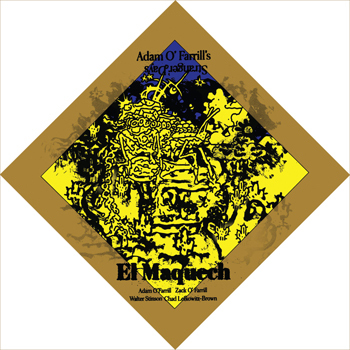 All of these songs and then some make it impossible not to fall prey to the charms of El Maquech from Adam O’Farrill’s Stranger Days.